A quiet village located within the Hudson Valley, Suffern, New York is home to many young professionals and retirees. The tight-knit community features quaint coffee shops and several parks, perfect for socializing with your friends, family, and neighbors. If you’ve never heard of Suffern, you sure are missing out! As you read through this guide, you’ll find five new things to try this weekend in Suffern. 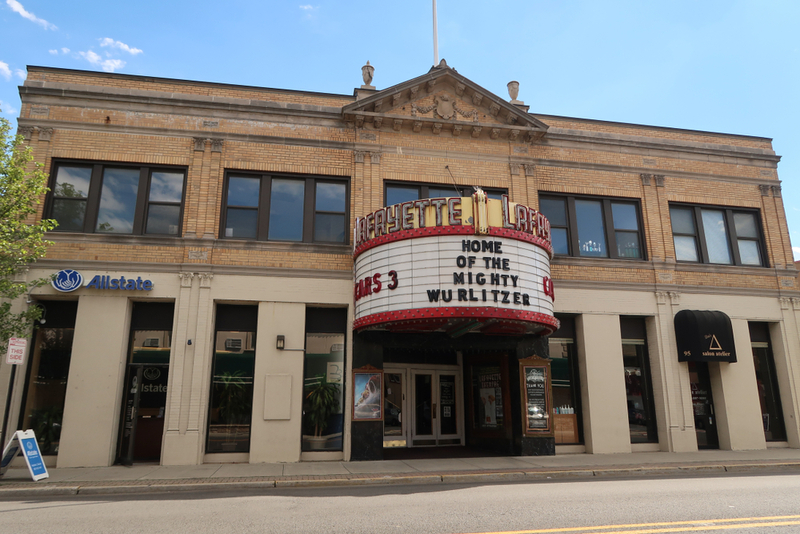 Lafayette Theater – Established in 1923 and named after Revolutionary War hero, Marquis de Lafayette, Lafayette Theater remains a nationally acclaimed movie palace since it first opened its doors in 1924. The theater primarily shows recent movie releases, but also hosts special events throughout the year, including the Big Screen Classics film show. Sebago Lake Cabins – Located on the Southeast side of Sebago Lake, the Sebago Lake Cabins were originally built for use by New York University but were made available to rent by the public in 1962. Perfect for campers looking for a no-frills accommodation and tranquil experience, the cabins feature rustic elements and provide easy access to several trails for hiking. Powerlinez Top Rope Climb – Powerlinez features the largest rock-climbing area within an hour’s drive of New York City and although it is big, only a few sectors are higher than 50 feet. A great activity for thrill seekers, top rope climbing is a method in which the climber is securely attached to a rope that goes through an anchor system that runs from the top to bottom of the climb. The Powerlinez Climbing Area is administered by Torne Valley Climbers Coalition and is free to the public, with a signed waiver. Torne Valley Vineyard – Listed as one of the six best wineries in New York for hosting a wedding, the hidden gem of Torne Valley Vineyard has been newly renovated and opened to the public for the first time in 2011. Featuring wine tasting stations, extensive green area, and beautiful architecture, Torne Valley Vineyard is a great day trip to take with a group of friends or as the venue for your wedding! Spook Rock Pool Town Park – The perfect place to bring your children on those hot summer days, Spook Rock Pool Town Park features 25 interactive features including splash pads and water fountains. Not interested in splashing around? Take a dip in the gorgeous inground pool!